Nyitrai Group, operator of FX Autóház Kft., has been a leading car dealership network in South Transdanubia for 26 years. The company group sells and services 10 different brands in its showrooms in Pécs, Szekszárd, Nagykanizsa and Baja. 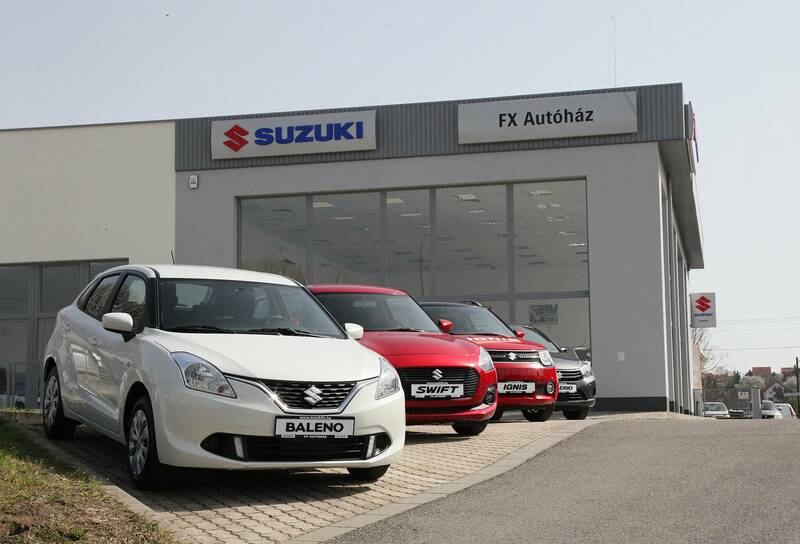 The FX Autóház network is now setting up its third Suzuki dealership under a targeted portfolio development programme. After showrooms in Pécs and Nagykanizsa, the third site was opened again in Pécs reflecting the importance of the region. “In 2017, we sold 2,370 new cars, and Suzuki accounted for 12% of our total sales. These figures demonstrate the popularity of the Japanese brand models in the region. We are happy to add a new dealership to our portfolio in response to increased demand”, said József Nyitrai, Managing Director of FX Autóház. 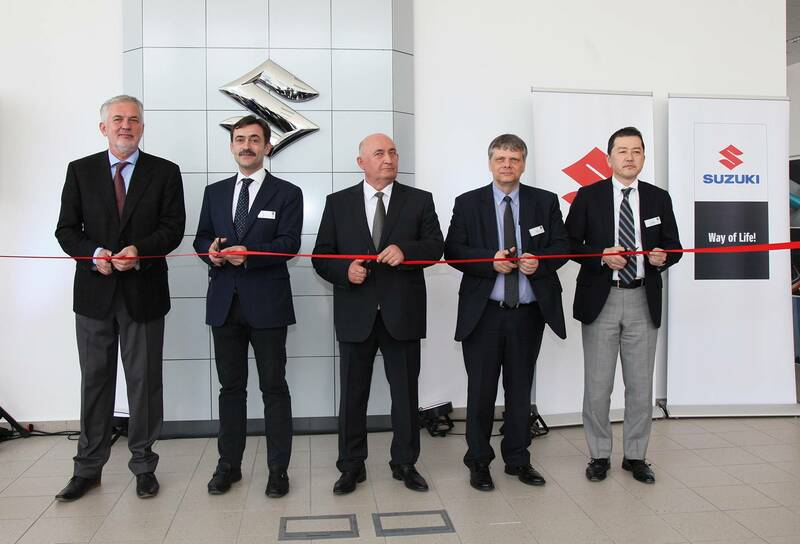 At the official opening event, the ribbon was cut by József Nyitrai, Zsolt Páva Dr., mayor of Pécs, Jun Mitsubori and Róbert Krisztián, Operating Directors, and Péter Tóth, Sales Director Director of Magyar Suzuki Corporation. 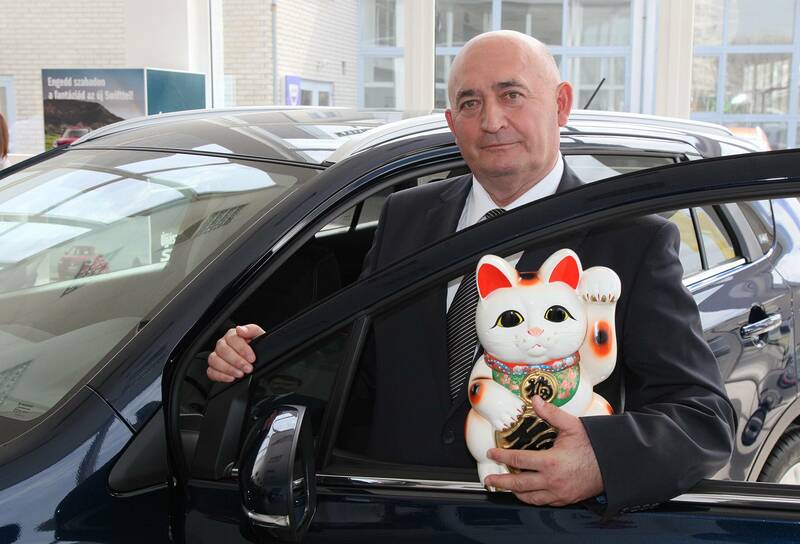 After this, Péter Tóth presented Suzuki’s traditional Japanese lucky cat porcelain figurine to József Nyitrai. According to Japanese tradition, the cat raises its left paw to invite guests and bring good luck, wealth and health to the house. FX’s second Suzuki dealership in Pécs offers the full model range of the brand and a wide array of services to existing and prospective customers. For more information please visit the website of the dealership.